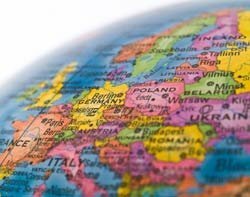 The legacy of the former Soviet Union country's engineering-based education system has fuelled a rapid increase in the number of companies providing IT outsourcing and software development services in the region, according to the Central and Eastern Europe Outsourcing Review 2010. The high level of technical skills in the former Soviet region attracted minicab company Addison Lee to Samara, home to the university which built the launch vehicle of the first man in space, Yury Gagarin. Peter Ingram, IT director at Addison Lee, says he first considered moving IT work to the region when the company needed to rewrite its main booking platform. "It was something we could do in the UK ourselves, but the daily rates of programmers meant that was quite expensive. So we picked a team in Russia and a team in India and sent each a week's worth of source code that needed to be written in a new language as a test," he says. "The guys in India said yes to everything, copied the mistakes we had deliberately put in there, and didn't ask us anything about the business - it was all very systematic. The team in Russia looked at our proposition, asked if it was functional, noticed the mistakes and asked us why we did things in this way. They really challenged us and had much better engagement," he adds. Ingram picked Russia as the country of choice to offshore IT work to, and since moving there in 2004, the company has increased development work and added new projects. "Now the Russian team also supports the products they have written. For example, a CRM solution they have written, deployed and now support. The time zone is also better for us than somewhere such as India as they are four hours ahead, and the culture is similar, which helps," he says. Ingram says collaboration is key to making it work. "We spend a lot of time in Russia and the developers also come over here. If you are not close to the coal face things fall apart as the employee does not necessarily know the whole picture. We have a good pool of talent. The guys are graduates, they are keen to work and show a lot of willing." Daniel Marowitz, head of global transaction banking at Deutsche Bank, works with Russian outsourcing company Luxoft. Marowitz agrees that there are unique skill sets in the region. "There is a lot of talent in Russia and the Ukraine in particular," he says. Although the company still has more bodies based in India than Russia, both regions are well suited to different purposes, he says. "If I was to make a very broad generalisation, I would say India is good at processing in a factory model, doing things quickly and being cost-efficient, and Eastern Europe is a better destination for more experimental tasks." Marowitz says a large global company such as Deutsche Bank cannot limit itself to using the talent from just one particular region. "The aspect of wanting more for less money is only part of the story. It's more important that we are getting the talent that is the best in the world." In an increasingly globally connected world, that is a sentiment Indian outsourcing providers are also starting to share. Many large players have now established bases for themselves in Eastern Europe. Indian outsourcing company MphasiS recently expanded into Poland for a nearshore presence. The company has been publicly listed in India for the past 14 years, and deals with infrastructure, applications and BPO. Around 90% of MphasiS's services are delivered in India. Ganesh Pai, senior vice-president at MphasiS, says the company wanted a presence in Poland because of the cultural similarities the area shared with some of its European clients, a more convenient time zone for them, and a better range of language skills to allow MphasiS to leverage more business across Europe. "I think India is fending off increasing competition. Many of our peers are already [in Eastern Europe], we don't claim to be the first. Poland came out top as an area for us because of its high technical and language skills. There also seemed to be a sense that doing business there would be easier [than some other countries in the region]." The company currently has around 10 people based in Poland, but in the next two years Pai would like to see this grow to 200. As Poland's economy continues to grow apace, the country could also become a new market for MphasiS, rather than just a supplier to the company, he says. "Indian pure players have traditionally been dependent on mature economies for growth, but Poland's GDP rate has performed very well in recent years. We are not necessarily looking at Poland as a new market right now, but I think with the country's global aspirations it may become one as its companies grow. Having a base there already should help us take advantage of that." Charles Parks, a partner and outsourcing specialist at Pinsent Masons, says UK companies looking to nearshore should consider issues around data protection before overhauling all their services to the region. For areas concerning customer records or invoice details, they would be advised to choose countries within the EU - such as Romania, Hungry or Poland - which abide by the same data protection legislation, he says. "Certainly in Poland there is a high proportion of education there. As you get further east, there are increased cultural and language differences. Ukrainian providers, for example, are making a pitch for international business, but they have less of a track record [of outsourcing than some other countries]," Parks adds. Software testing and development is more straightforward, he says. "If a company is looking at development work and applications, they are applying a different set of criteria. So when looking for a supplier in this area, it is best to approach it in the same way as any other supplier making a pitch by doing site visits and risk assessments." he says. But Parks points out there are still advantages in opting for mainstream Indian outsourcing suppliers. "A lot of these Indian companies are very international and sophisticated, whereas outsourcing in many Eastern Europe countries is more like India was 10 to 15 years ago. The level of contractual sophistication of Eastern European suppliers can sometimes amount to 'take it or leave it' terms, which pushes the onus back to the customer," he says. "You need to be sure the substance is there to get the return on investment. Companies must clearly articulate required specifications. There are no prizes for over-contracting in a situation where the price is a strong driver," he adds. Parks says nearshoring tends to be a more popular option with his smaller clients. Boris Kontsevoi, CEO of Intetics, a global outsourcing company with some operations based in Eastern Europe, agrees. "As new stratums of businesses, especially mid-size businesses, are turning to outsourcing, they feel more comfortable to work with nearshore providers," says Kontsevoi. Torben Majgaard, CEO of Danish outsourcing company Ciklum, which is based in the Ukraine, has also noticed a strong take-up with SMEs. "The vast majority of our clients are smaller businesses because they are able to do innovative development at low cost," he says. Majgaard chose Ukraine and later Belarus because they are not in the EU, which means prices are comparatively lower than Poland, with the costs of living lower than places such as Moscow and St. Petersburg. "Our business is focused very much on the close relationships of working between Eastern and Western Europe," he says. Growth in IT outsourcing in Eastern Europe continues to increase. In 2009, the number of IT specialists employed in companies providing IT outsourcing and software development in the region (not including Russia) reached 95,000, found the Central and Eastern Europe Outsourcing Review 2010 report. Romania was found to be the country with the highest growth of IT specialists, increasing by about 12% compared with 2008. Ukraine followed with over 9% growth. But the biggest problem Eastern European outsourcers face is the strong perception, especially in the US, that outsourcing is an "Indian business", says Kontsevoi. "In many cases business executives simply don't take Eastern Europe into consideration at all. I believe that various Eastern European industry and business associations must play a greater role in promotion of the region as outsourcing destination. Unfortunately, there is nothing similar to NASSCOM [The National Association of Software and Services Companies, which represents Indian IT outsourcers]," he says. Choosing an offshore destination will always depend on the type of IT work involved. But as long as India remains the default country of choice for companies seeking to take advantage of large pools of low-cost skilled labour, the region will have to work hard to further change perceptions, which by all accounts already appear to be shifting. The problems isn't the transaction cost. I get that. Offshoring gets you a cost of 25 cents on the dollar per transaction. The problems are more failure demand and communication costs. When saving money is the goal, costs go /up/ - John Seddon has demonstrated that empirically with his research. I suppose if you're willing to let quality slip, costs can drop - but you could do that locally! Having worked with Indian-based resources, as well as working to coordinate multiple resources across Europe, I can see where the time zone issue is very relevant, and plays in favor of Eastern European resources. Where I live in the Eastern US, we have a two to three hour overlap in the morning with our resources that work in India. If we run into an issue after that overlap occurs, we typically have to wait until they return to work the next day before it can be addressed, so I can certainly see the appeal, especially for UK companies, to opt for the Eastern European options. I personally feel that having globally distributed team still helps. We have a team with Devs located in NYC and with some of them in Prague and we are here in India. And part of our team is in London. This kind of structure helps to ensure that work is being done round the clock and there is always someone to look after problems when others have called it a day. Of course, it also depends on the context in which organisation and its business operates. The article has laid down very well the advantages of Eastern European countries. Bulgaria is a fast growing destination, we have gained the trust and we have many Scandinavian and UK companies having developer resources here. Scandinavians are a bit picky, but they like us because we produce very high quality code and we work in the same time zone which is important. The debatable questions are costs, quality, skills, and political situation. The article introduces a not very helpful stereotype comparing Russians and Indians. Whether ones were proactive and others were agreeable, results of the "tests" made with both offshore destinations are too small to prove the patterns. I do, however, admire their approach. They didn't stop at looking at costs and time zones. They actually tested if their prospective partners can produce the value needed. Hi Kathleen! I love your article!!! I'm working in software development agency in Poland http://zaven.co/services/development-outsourcing-poland.html - you can check us out. Most of our customer are from abroad and actually they are really satisfied with what we provide! Scand Ltd, the company I work at is one of them. part of EU) are very strict and client-oriented. I'd like to comment on the 4 point that concerns Data protection. This applies not only to the companies of the EU. For example, Ukrainian companies also comply with data protection requirements. But it concerns only full-cycle companies where some parts of work are not delegated to a third party. The companies like Epam, Appus Studio, Infopulse, Ciclum and more. This should be considered before starting the projects.